Starweld Boats: Click here to view the models. Our locations and marinas allows Great Lakes Yacht Sales to service the greater Chicago area as well as the eastern shores of Lake Michigan. From Michigan City, IN through the Chicago area and on north to Milwaukee, we can deliver the dream. Our new boat lines are Monterey Sport Yachts, Sunchaser Pontoons, and Smoker Craft. We also offer expert brokerage services for all types of boats from 16 – 60 feet. Great Lakes Yacht Sales in Kenosha offers haul-out, inside heated storage, and outside storage for yachts up to 65 feet in length. We also provide complete interior, exterior, and mechanical refit services. We are experienced with both gasoline and diesel applications. 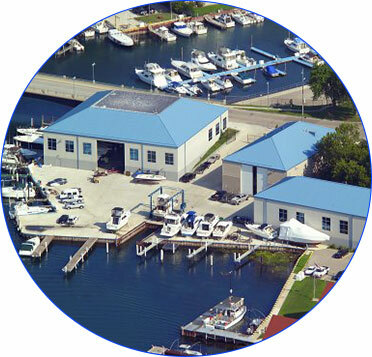 Our Fox Lake facility and marina offers the same excellent services in the heart of the Chain of Lakes!